A little while back, I shared a review of The Waiting by Hunter Shea. It’s a short story, but one that’s out of my typical reading bucket: the thriller/horror genre. Sure, I’m a mystery fan, but it’s always been just a smidgen scary for me to take that next step into the horror genre. 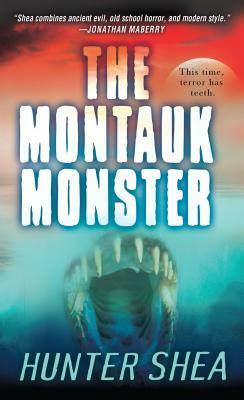 So, when I read about Hunter’s new release, The Montauk Monster, well, I was shaking in my shoes! Scary just from the snippet of a review from PW, right? I THOUGHT SO, TOO! However, just because I’m a fraidy cat, doesn’t mean you hearty readers wouldn’t be interested in learning more! What’s a gal to do when she is scared to read the book? Why, open her blog up to the author, of course! I figured, who better to tell you all about The Montauk Monster than the creative mind behind it? That said, welcome, Hunter, to Girl with Book Lungs! 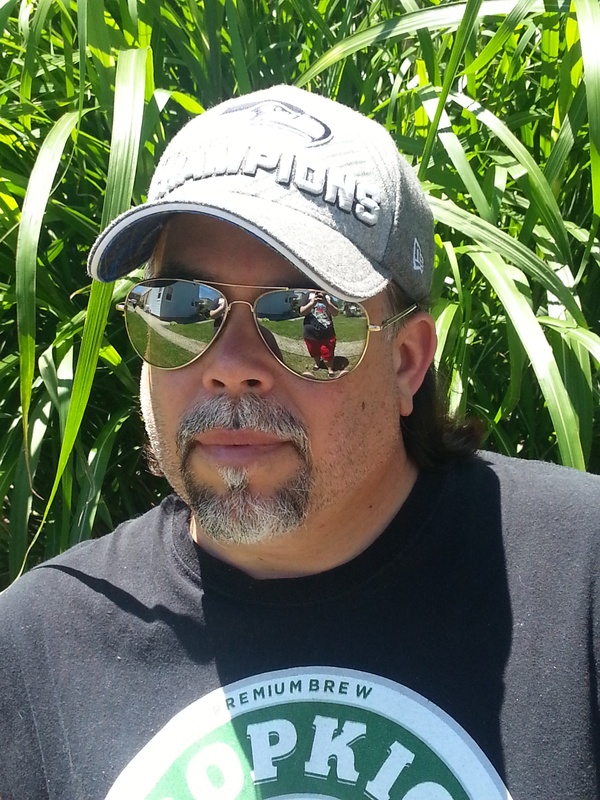 Thank you so much, Jenna, for opening up your blog to this somewhat eccentric dude who fancies himself a thriller writer. Having cut my publishing teeth on horror, the move to thrillers has been a very natural progression – not that I’ll ever leave the warm, comforting climes of terror. Over the past couple of years, people have been calling my horror ‘action-horror’, a genre I’d like to trademark. 😉 The people want action, I shall give them action! Well, just in time for sun on the beach and warm nights under the stars, my very first thriller, The Montauk Monster, is now out as a Pinnacle paperback. It’s been kinda neat seeing the book everyone, including the supermarket, right next to the Hostess display. Cupcakes and mayhem, a winning combination. Knowing that The Montauk Monster was going to be out around the summer, I crafted it to be the exact kind of book you pack along to the beach or a family picnic. Set in the beachy, tourist town of Montauk, New York (that’s way out at the very end of Long Island), my little monsters, quadra pedal beasts that look as if they’ve been cobbled together in a mad scientist’s lab, waste no time terrorizing the town. Hot July nights are laced with chills as unwitting citizens cross paths with the alien animals, all to their detriment. Not only do they savage anyone they see, they leave behind an infectious toxin that has left everyone baffled. Enter Dalton Gray, local county cop who loves his graveyard shift – a shift that’s no longer so calm and peaceful. Along with Officer Meredith Hernandez, who once found a bizarre animal carcass washed up on the beach, he’s about to plunge headlong into a twisted conspiracy that could cost him his life – or worse. What makes The Montauk Monster a beach read? I like to compare it to a frozen daiquiri on a 90-degree day. It’s refreshing and goes down fast! I loved the challenge of creating a monster story based on actual strange creatures that have been found on the beaches of Montauk. Sprinkle in a government lab off the coast with a very shady past and you’ve got something that is both terrifying an oddly plausible. Believe me, the truth that I researched for the book is just about as frightening as the tale I wove. If you want action – check. You want conspiracies – check. Suspense – double check. Romance – yeah, check that off, too. So next time you’re heading to the beach, slip The Montauk Monster in your beach bag, settle into the sand, crack the spine and let it take you away for a while. I promise to bring you back safely. My thanks to Hunter Shea for stopping by to tell more about The Montauk Monster! I have to admit, my interest is now piqued and who knows? I might just pick it up to read after all. In another part of town, a woman’s backyard is invaded by four terrifying creatures that defy any kind of description. What’s clear is that they’re hostile–and they’re ravenous. . .
With every sunset the terror rises again, infecting residents with a virus no one can cure. The CDC can’t help them; FEMA can’t save them. But each savage attack brings Suffolk County Police Officer Gray Dalton one step closer to the shocking source of these unholy creations. Hidden on nearby Plum Island, a U.S. research facility has been running top-secret experiments. What they created was never meant to see the light of day. Now, a vacation paradise is going straight to hell. Is the Montauk Monster made up for the book or an urban myth? Is there some truth that propels the story? You can find out more about the real Montauk Monster story here. Oooooh I like the guest post Jenna! Good thinking yo!